How is Flower Subaru dedicated locally to the Love Promise? 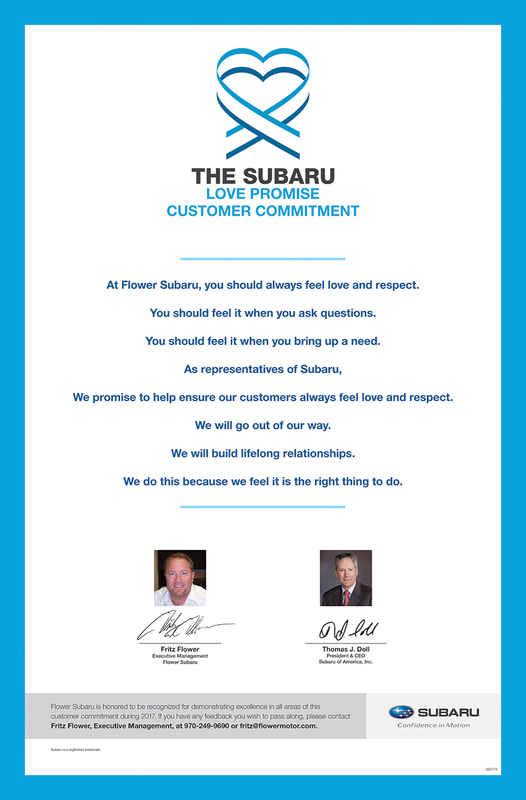 Did Flower Subaru go above and beyond, provide exceptional service, or support causes that are important to you? We'd love to hear about it. 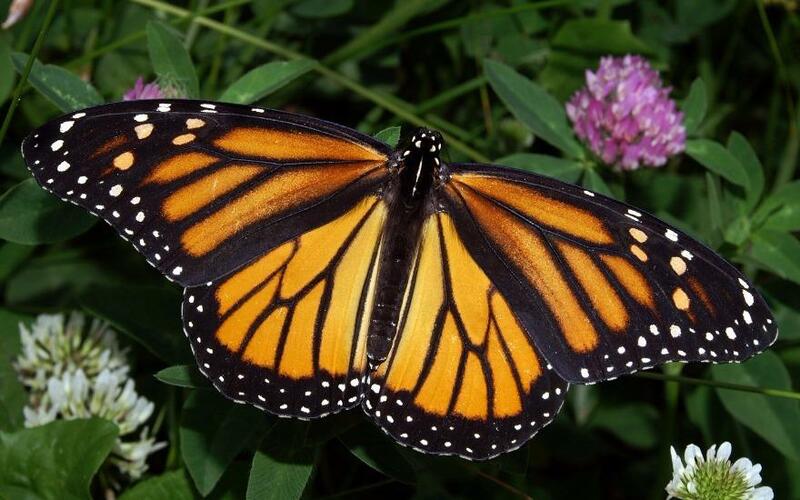 The beautiful Monarch Butterfly is a favorite for all butterfly lovers. Milkweed plants are the only natural habitat for Monarch larvae. There has been a decline in Milkweed plants that has caused the Monarch population to decline considerably. Flower Subaru partnered with the National Wildlife Federation as part of our Subaru Loves the Earth initiative during the month of April. Stop by the dealership to get information on the National Wildlife Federation’s Butterfly Heroes program and learn how you can start your own butterfly habitat. We will even provide a pack of seeds to start your own butterfly habitat and help save one of the most beautiful butterflies in existence. Heroes Forever is a non-profit organization that started in Denver. The mission of the organization is to provide pediatric cancer patients and their families with much needed support, family activities, relaxation and education. During the holiday season they do a Adopt-A-Hero campaign that is designed to share the load (financial burden) with those families in need by taking up the reins of Santa's sleigh. 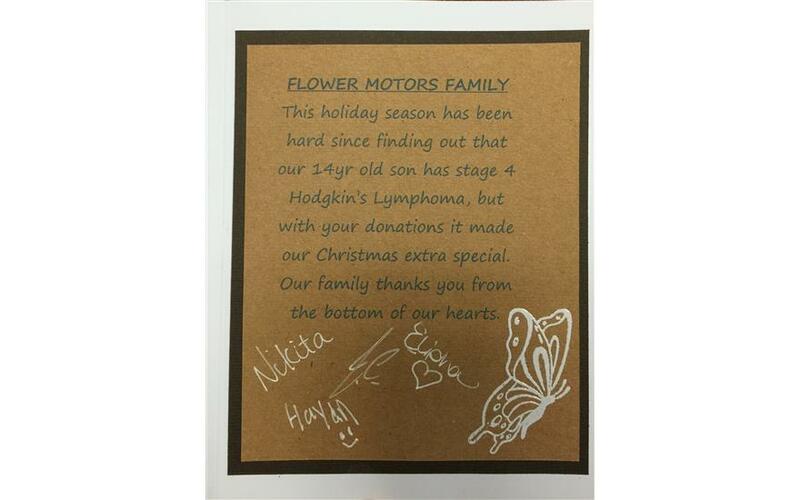 In December, Flower Subaru partnered with Heroes Forever and adopted a local family with a young son with stage 4 Hodgkin's Lymphoma. Fritz Flower and his wife April went on a shopping spree for the Holiday's to make sure that this family had an extra special Christmas this year. Cancer is a disease that is emotionally, physically and financially draining on a family. This is one of the way's that Flower Subaru gave back to a local family in our community to help bring a little relief during the stress of the holiday's.